You’ve seen my post on Infused water !!! 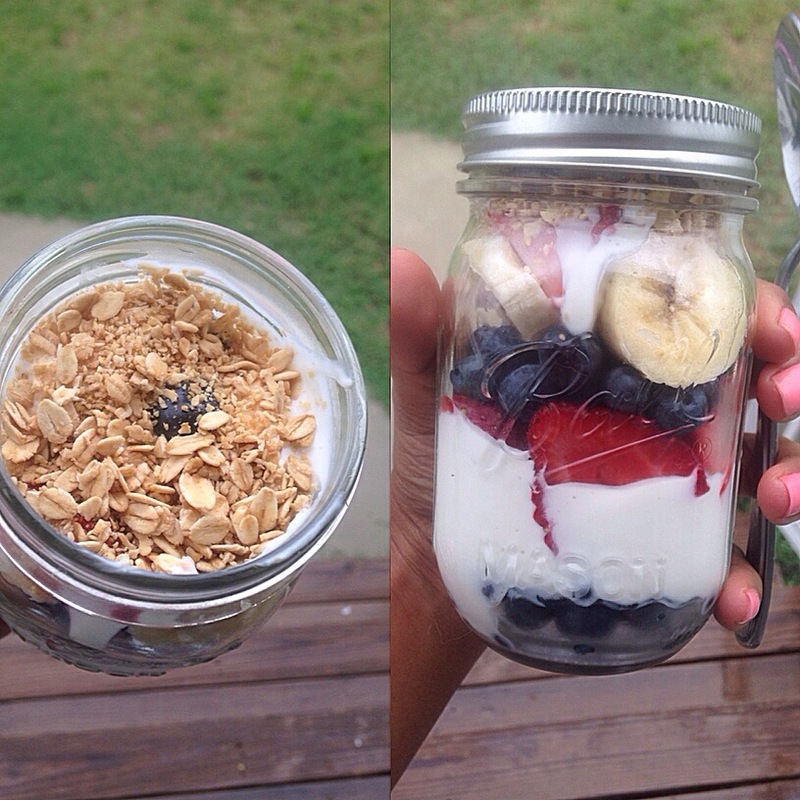 … Well I received a mini mason jar about 12 ounces and made a nice parfait on the go! It got me thinking I can use smaller ones for soup, oatmeal and fruit, desserts, preserving spices and more! They have even smaller mason jars that you can use for the kiddies when on the go. Today I layered blueberries, Greek yogurt, strawberry, more blueberries, bananas, more yogurt, and all natural granola. I had it as a snack at work today! I will never buy a store bought parfait again lol!